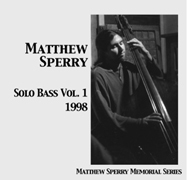 OAKLAND, CA – June 12, 2003 -One of the Bay Area’s brightest musical lights, bassist Matthew Sperry, was killed in a traffic accident on June 5. Members of the SF Bay Area New Music scene will present a benefit concert at Oakland’s Club 21 on Thursday, June 19 in support of Matthew’s wife and their two year old daughter. Sperry was struck down by a truck while riding his bicycle at approximately 9:00 a.m. on Thursday, June 5th at the intersections of Powell and Vallejo Streets on the Oakland/Emeryville border. Oakland Police are still seeking eyewitnesses to the accident. Admission: A scale of $5.00 to $50.00 is suggested at the door; no one will be turned away for lack of funds. All proceeds to benefit Matthew Sperry’s wife and two year old daughter. Matthew Sperry was a noted solo and ensemble performer as well as an in-demand session player. His music spanned several genres, from improvised New Music and jazz to klezmer and subterranean pop and he recorded with a broad range of musicians from all corners of the United States and Europe. 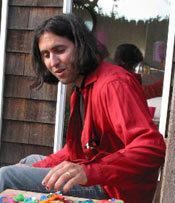 Sperry’s extensive discography includes performances on Tom Waits’ recent albums, Alice and Blood Money, Anthony Braxton’s Six Compositions, and David Byrne’s Feelings. Most recently, Sperry was the bassist in the Victoria Theater’s production of “Hedwig and the Angry Inch.” For a complete bio, visit: http://www.oneroom.org/mattsperry/resume.html. A memorial Website has also been set up at www.birdhouse.org/blog. Hey, to anyone involved in the concert on the 19th, I have a score that Matt composed for my group in around 95 that is rather improv based. it could be included and Id be more than happy to scan it and send it to anyone… we all really miss him up here (Seattle).